The dreaded island-to-island bus trip for a new visa certainly wasn’t half as bad as bus travel in Nepal. 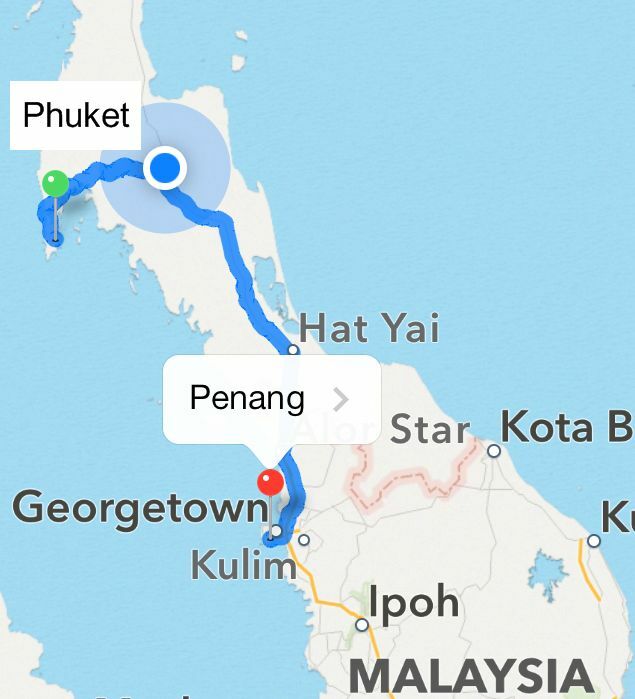 For one thing, there are no 2km drops either side to tragically plunge down to our deaths, and the roads between Phuket and Penang are surprisingly good. However our drivers drove at 160kmh most of the time, tail-gating much of the way, and the lack of seat belt made me a little nervous to say the least. The 9-seater bus with us squeezed in the back with a bunch of Russians left Phuket at 10pm Sunday night stopping every two hours for a toilet break and allowing our driver to play with his radio-controlled car. Into dawn we emerged from darkness at the border crossing between Thailand and Malaysia. By 9am we’d arrived at the very pleasant Banana Boutique Hotel with dozens of other tourists all there to get new visa’s. Before hoeing into a full buffet breakfast, we handed our passports over to hotel staff, along with application form and fee, plus two passport photos. Wednesday 8am we’re back aboard Blue Heeler. Funny, while we’d been away no work had been done by Ton or Nai’s team although they began to polish the hull and topsides. With final welding and fittings on the davit to be added, the tent was removed early Thursday morning and the mast reinstated to it’s upright position. We’re at the point now where there are only small jobs to do. Problem is that some small jobs may blow out into hours of work. Naturally, over the course of the past eleven weeks not everything has gone to plan with many things requiring a swift turnaround to keep the project moving. For example, I’d bought a new toilet seat a few weeks ago and didn’t bother to measure it as I was sure it was a Jabsco Compact toilet. Upon putting the seat in place I discovered to my horror that it was about an inch too short! Luckily I’d kept the receipt and the fellow at Surapol across the road was very helpful and let me swap it for the larger size – his last one in stock mind you – phew! We also had trouble getting nuts for a ‘fine’ thread for the alternator mounts. No-one had what we wanted, but Wiwat at AME managed to source some for us. The head is finished! Even down to new door latches. There’s also been the ‘small job’ of fitting our bimini light. 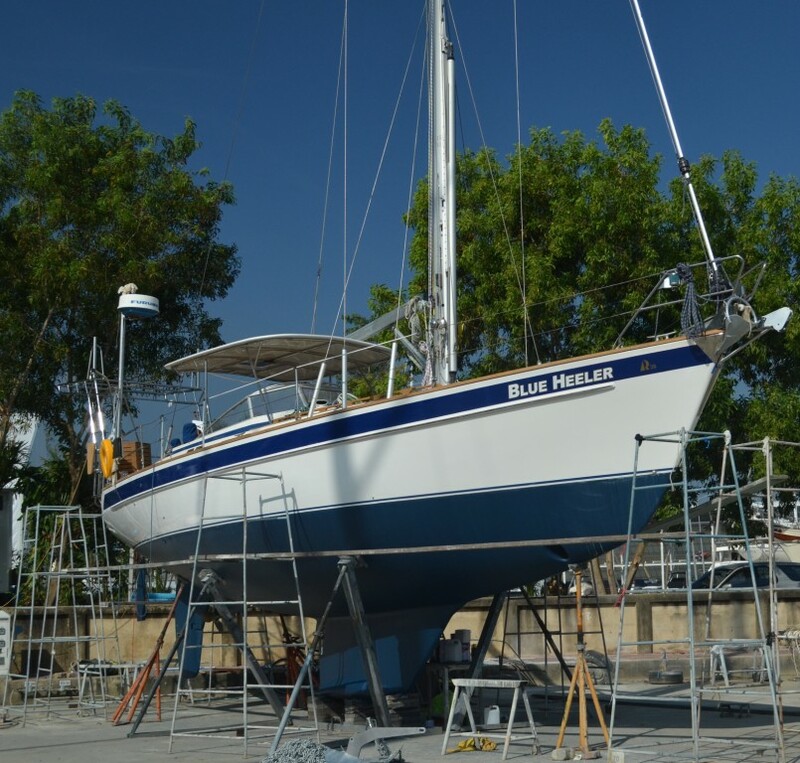 I won’t going into the details of how difficult it is to thread the wire through the stainless steel tubing of the bimini when the ‘mouse’ has come adrift, but let’s just say that the hours planned for other work this Sunday was painfully thwarted by this ‘small’ task. Another small but laborious job was spent fitting metres of new curtains (it’s a Hallberg Rassy thing, personally I wouldn’t have so many flouncy curtains); another couple of days to wash and clean the interior of Blue Heeler from top to bottom – our mahogany woodwork now gleams after a full can of Pledge was soaked up by the thirsty woodwork. The head looks great with new shower curtains, and of course, new properly sized toilet seat plus the new door latches we’d bought earlier this year. With the tent removed, the sun burns down on the deck, but the new hatch covers keep the interior much cooler while I spend my time cleaning and organising down below. 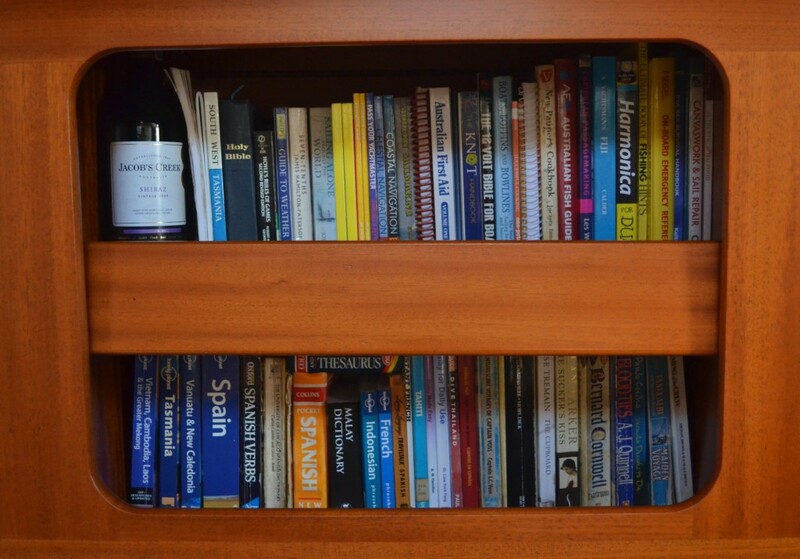 Items are slowly trickling back on board; I’ve even brought all our books back from storage, taking time to shake each book to remove any spiders or cockroaches that may have found a new home in the pages of our various pilots and travel guides. Blue Heeler will go back in the water in early January, and fingers crossed, we’ll leave Boat Lagoon on the high tide soon after. Still 14 days away, but quite a bit to do plus that bloody bimini light! Anyway ’tis the season to be jolly so although we’ll miss time with our families this Christmas, we’re looking forward to catching up for a feast and drinks with other yachties at Nai Harn in the south of Phuket. To my readers and friends, all the best to you and your families and we wish you a wonderful Christmas season and a prosperous and healthy New Year. 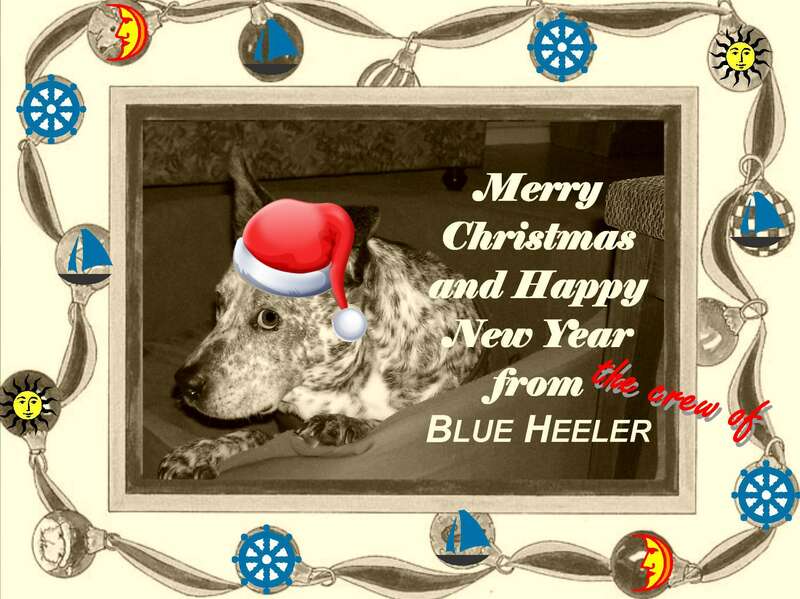 Merry Christmas from the crew of Blue Heeler. Aside | This entry was posted in 2013, Thailand and tagged Boat Lagoon, Christmas, Penang, Phuket, Teak decks, Thailand. Bookmark the permalink. Hi Ally and Wayne, what an amazing job you have done. 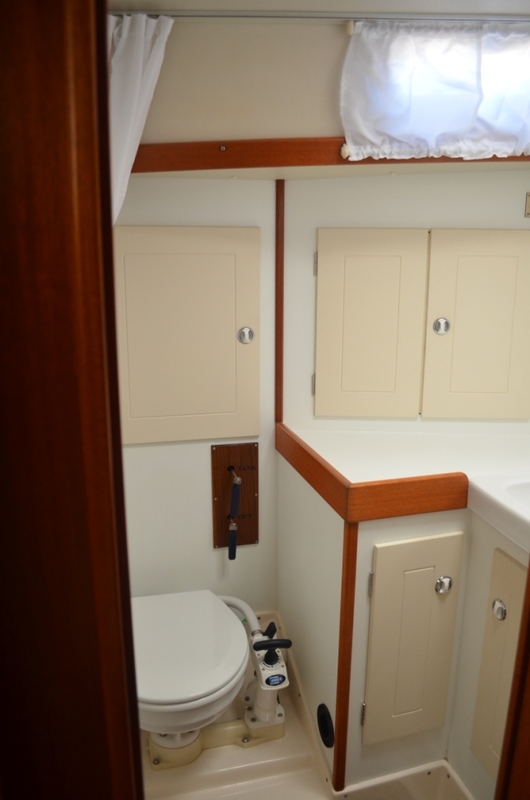 The boat will be so well prepared for your next few years adventures. Have a great New Year and we will look forward to your next update. We are all well here . Thanks Kathy & Alan – all the best to you both and your family.